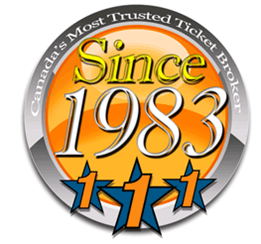 StarOne Ticket is proud of being known as the Most Trusted Ticket Broker Since 1983. We have prided ourselves on offering the most exceptional customer service. We have built our business around the idea of creating the ultimate experience for our customers. StarOne Tickets started as a two-man operation in a small office in the Keele and Finch area. StarOne Tickets has grown and continues to grow into on of the most sought after companies to get tickets to the hottest events around the world. Even from the beginning, StarOne Tickets has made it our business to create a personal relationship with our customers. In the beginning the Internet didn't exist and computers were just becoming popular, so StarOne would personally deliver tickets to its customers. StarOne relies heavily on word-of-mouth advertising, so creating that personal relationship with our customers is our business. As our customer base continued to grow, additional employees were hired. StarOne Tickets is one of the founding StarOne NHL Playoff Pool Dinner - 1996 members of the CTBA (Canadian Ticket Brokers Association). The CTBA was created to protect our customers with the mission to promote and maintain integrity and service of ticket brokers and to assure public confidence in our industry. 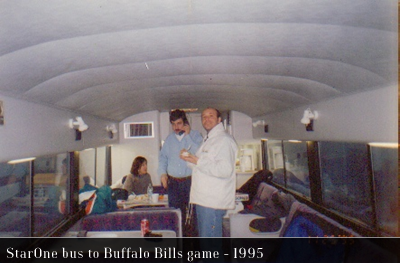 As the CTBA was created, StarOne started to complete more business with other ticket brokers, which grew to the demand of tickets to world class events, including the Superbowl, the French Open, Vancouver Olympics, etc. As demand grew, StarOne developed a website to inform our valued customers about the event tickets and services we offer. As business continued to grow, StarOne Tickets moved to a bigger office in the Dufferin and Finch area, where our current office is located. To this day, StarOne Tickets continues to be a leader in the ticket broker industry. 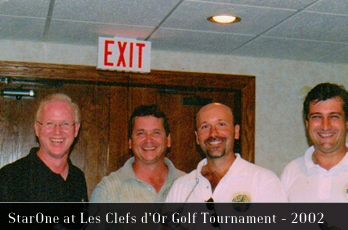 StarOne Tickets was on of the first ticket brokers to offer services to the Concierge Community, and StarOne has been honored as an Honorary Member of the Les Clefs d'Or, presented to StarOne Tickets President, Ervil DiGiusto in April 2011. 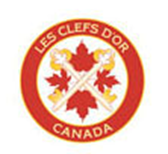 Les Clefs d'Or is an association of professional hotel Concierges, a name well known to national and international travelers who are accustomed to staying in grand hotels around the world. StarOne Tickets continues to establish strategic partnerships with other ticket brokers and Concierge associations around the world. We all share a common goal with our partnerships in providing exceptional service to our customers. StarOne Tickets was one of the founding members of the NATB (National Association of Ticket Brokers), which was formed in 1994. The founding members mission was to establish an industry wide standard of conduct and to ensure ethical rules and procedures were in place to protect the public and form a positive perception of the ticket industry. The NATB now has 300 ticket brokers, which started at 13 members. As the digital world continues to evolve, StarOne continues to grow and serve these platforms. StarOne Tickets is now on Facebook, Twitter & YouTube. StarOne will also delve into the blog world with the launch of Andrea's In the Action blog. To stay up to date with StarOne follow us! StarOne Tickets does more than provide a service to its customers. StarOne also gives back to the community. StarOne takes part in an annual golf tournament that raises money for Dreams Take Flight, Les Clefs d'Or and Habitat for Humanity. All funds raised at the golf tournament go to those less fortunate. In 2011, we raised $10,000 for the above charities. In 2012, we look to surpass our 2011 amount raised in order to give those less fortunate the opportunities where otherwise they may not have. It continues to be StarOne's business to provide exceptional customer service. In doing so, we have also created our Gold Membership, where members have exclusive access to contests, last minute deals, and our monthly newsletter. Our experienced staff has a passion for the ticket industry so they know what it takes to create the ultimate event experience. For any requests you may have don't hesitate to ask our StarOne sales staff. We would be happy to make your experience that more memorable.